The enterprises engaged in the various industries are subject to the same law, but do not follow the same rules and mechanisms. The methods and technologies of manufacturing, the product and innovation cycles, the way of distribution and logistics, the employed means of production and resources, the market environment and the competitors and the custom of the specific trade differ. This leads to legal risks, opportunities and special features. 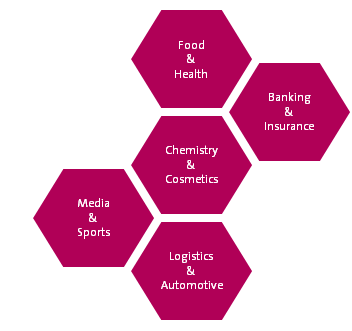 That is why we are engaged in particular in industries which are characterized by a special importance of trademarks and product design, intensive advertising, special structures of distribution or a global operation.